Hi. I'm new to this forum section, I usually read the Train Tech section. 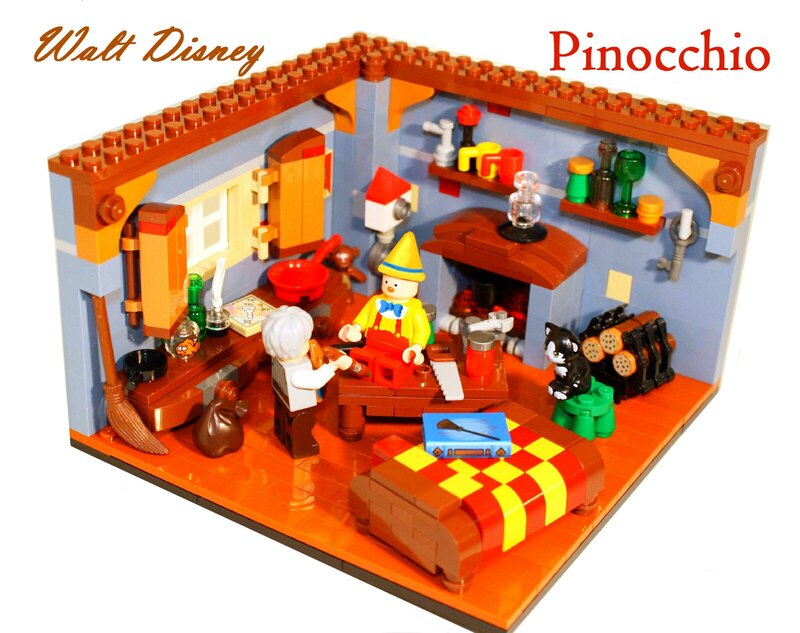 But this time I want present my small projects based on Disney Classics. I've added them on LEGO Ideas, but if they will reach 10000 supporters, the credit will be all to my children. They are dedicated to Pinocchio, The Sword In The Stone and Bambi. I hope You like and Support them on LEGO Ideas. These are great! 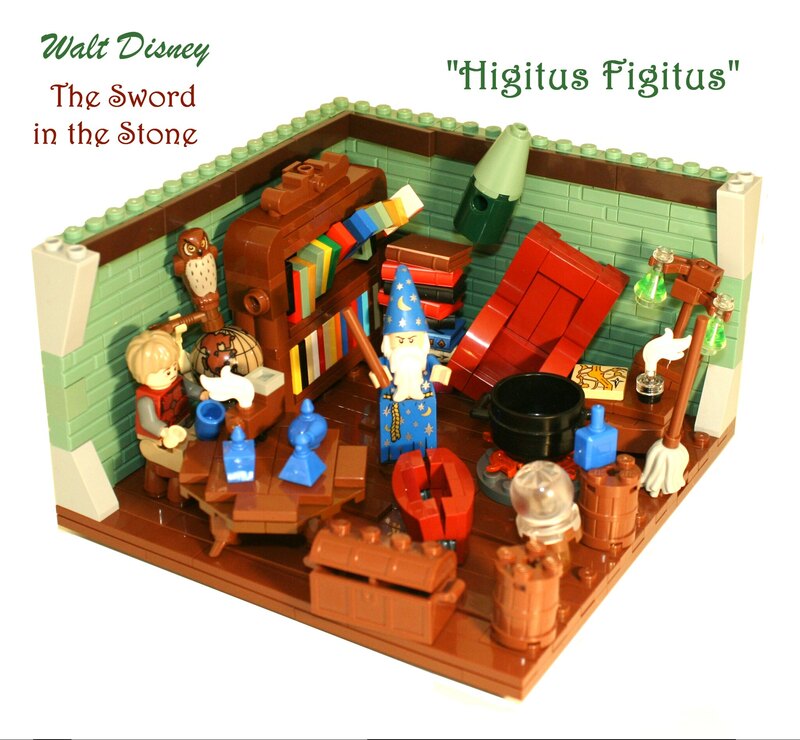 Higitus Figitus is definitely my favorite, I love all the details you were able to get in to such small scenes! My sons Always laughs when they looks at it. This exactly the kind of set I wish Disney would pursue as a follow up to the cinderella castle set. 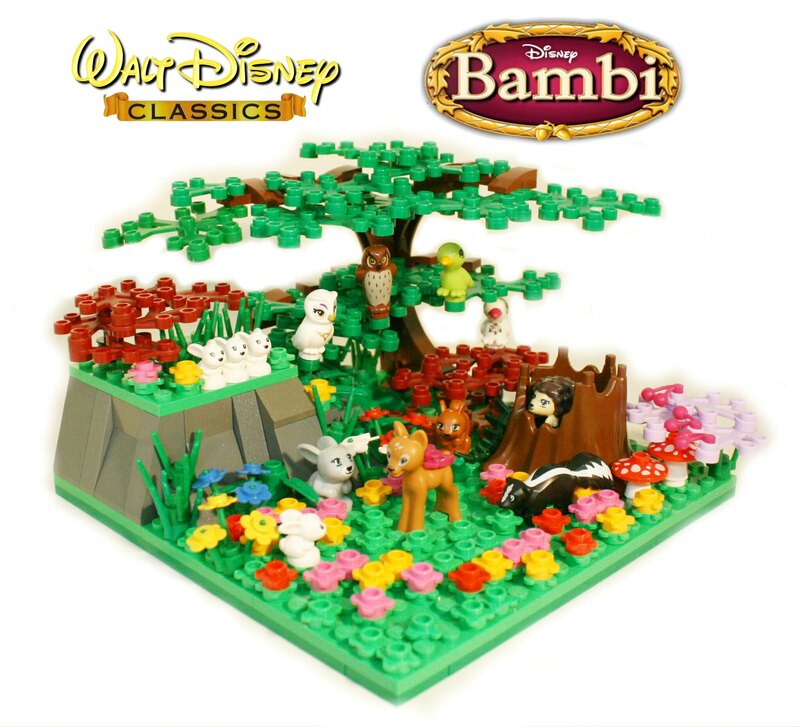 They could actually do a small set like this for every classic disney film. Lego could stretch that out for 10 years, and i can almost guarantee they would sell like hotcakes......especially if they were to sell them in disney parks. Definitely supporting all three! I love the density of the details in each scene, as well as the choice to focus on some of the more ignored Disney films. Do you have any more in mind? The same as Karalora : definitely supporting all three ! I hope these pass the review when it'll get 10.000 votes ! You even included Figaro and Cleo! Fully agreed! Keep it between $30 to $100 and I don't see why sets like this would not do very well. In Downtown Disney in Anaheim, I could so see the one-two punch between Disneyland and the LEGO Store. These things could be everywhere! I also think they must be a best seller Worldwide. They are small, detailed, very colorful, and who don't know them? My original idea was for a complete serie based on Disney Classics, but this is not allowed on Ideas. So I present only three scenes. Yes, I've got many others ideas, but I'm waiting to buy the collectible minifigs. If You really want them, Support, Follow and share them everywhere You can, also on Disney non LEGO-related community if You can. Probably these will not reach 10000 supports, but can encourage LEGO build something like this. Those are super !supported all 3 ! Thank You Stice. Share them with Your friends. I hope that others do the same. Why not... It could be good ! Thank You. Yes, a black cauldron themed set will be amazing.